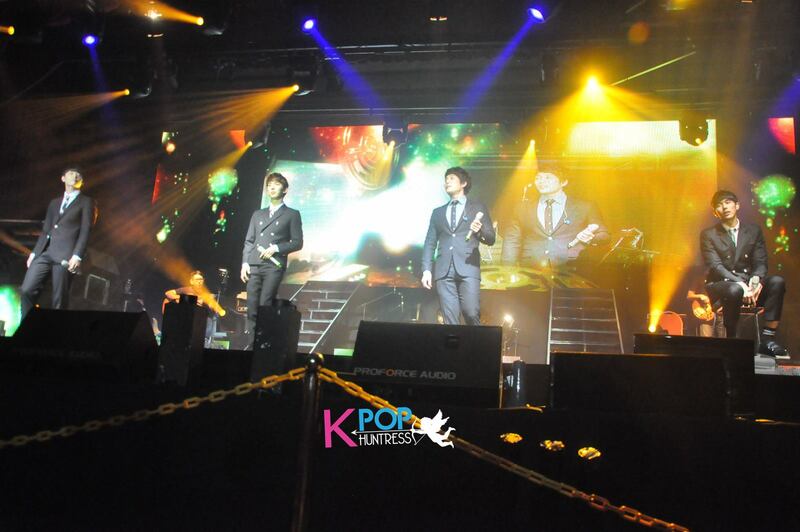 2AM: The Way of Love, Captivated Malaysia with More Than Just a Ballad performance. Soulful voice, great ballads, with the additional good-looking face, 2AM is more than a regular boy group. With the strength on the vocals and great music, they don’t need a dance move to charm the fans with the performance. It’s more than enough of being there, listen to the songs and enjoy of what they have to offer in order to complete the entire concert. 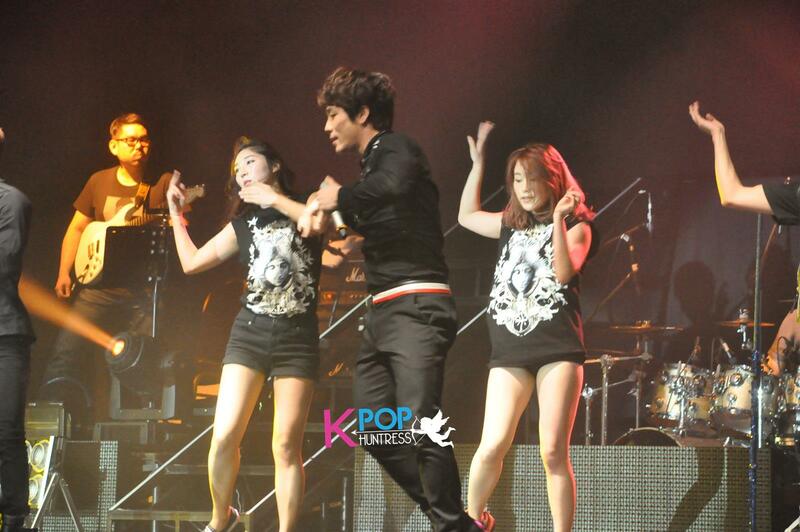 2AM The Way of Love in Malaysia was the last stop for Asia Tour 2012 after touring around the Asia. Staged at Dewan Wawasan, Menara PGRM, Cheras, Kuala Lumpur, this two and a half hour concert attracted more than 3000 loyal fans who always been cheering for their performances in Malaysia. There are 4 talented guys behind 2AM with Jo Kwon as the leader, Jinwoon, Seulong and Changmin. During press conference earlier, they hinted on the special surprise for the fans upon the concert. They opened the concert with three songs for warm-up, ‘I Wonder If You Hurt Like Me’, ‘Erase Memory’ and ‘You Were Mine’. Later on, they greeted the fans with Salam 1 Malaysia and vowed to the crowed that they will make sure everybody fall in love with the whole performances tonight, just matched with the concept of the event tonight, ‘Way of Love’. Without any delayed, they delivered their hit singles ‘A friend’s confession’, ‘Like Crazy’, ‘Sorry I Can’t Smile’ and ‘Love You, Love You’. As for the 2nd segment of the night, they have prepared an acoustic performance of ‘You Walking Towards Me’, ‘I Was Able to Eat Well’, ‘Nagging’ and ‘The Day I Confessed’. Next, they were singing a medley ofother kpop hits such as Nobody (Wonder Girls), Good Girl, Bad Girl (Miss A), Gee (SNSD), Fantastic Baby (Big Bang), Sorry, Sorry (Super Junior) and 1Day, Again and Again (2PM) which can be followed and serenade along by the crowds as well. The performances are worth dying for as they managed to deliver all of the song with their own 2AM style! To fulfill their promise on the surprise performance, they sang a Malay song, ‘Bila Terasa Rindu’ originally from Dafi with a perfect Malay pronunciation and rhymes. The fans cheered on them by singing along as it is an enjoyable song to follow. 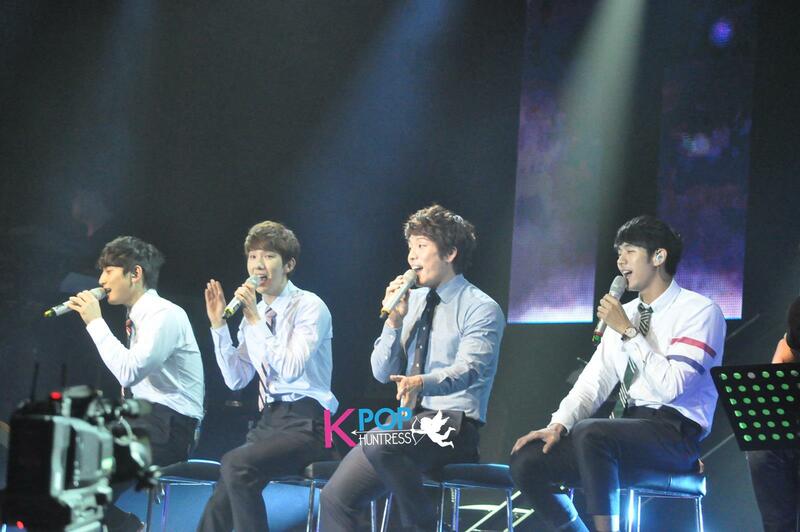 Believe it or not, 2Am is the first group who took up the challenge in singing a Malay song in a concert! Good job guys! Done with the group performance, it’s the time for each of the members to show their individual talent by presenting their solo performance. Changmin with ‘Runaway Baby’, Seulong sang a ballad entitle ‘Hurricane’, Jinwoon played keyboard of ‘Bohemian Rhapsody’ and Jo Kwon sang his debut solo song, ‘Animal’. All of them were showing the best showmanship that they can offer as they look confident and comfortable with the stage. To vary the act, they rocked the stage later on with jumping, shuffling and dance to What Should I do, Party Rock Anthem as a prove that they can actually dance. They close the stage with ‘With or Without You’, ‘I was Wrong’ and ‘You Wouldn’t Answer My Call. To a surprise, when almost half of the audience left the hall, the boys come out again with an encore, ‘Isn’t She Lovely’ and made the fans rushed back to their seat as that is a popular song by Stevie Wonder. 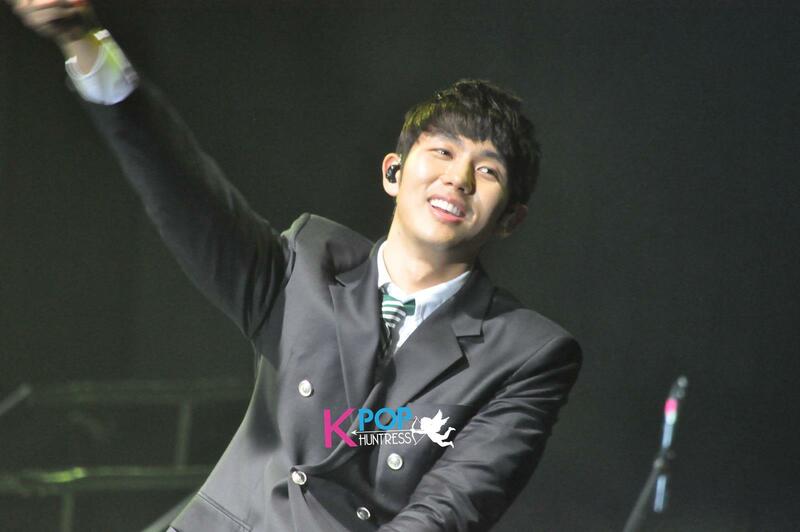 2AM accomplished their promise in making everyone fall in love for their performances as its splendid! The boys managed to show different sides of them by open-up so many new talents that weren’t expected for fans to see during a concert, but they did it great. They are more than just a ballad group who only stand and sit to sing, but true entertainers who have great flair in captivating the audience with excellence concert presentation. 2AM jjang!